During two sessions in December, SKCE selected its 2018 Squad. 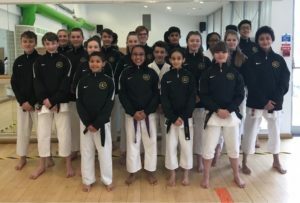 The Squad consists of three groups, Junior, Intermediate and Senior Squad. Follow their progress here with dedicated news and squad training dates. If you like putting a face to a name, here are some of the SKC England 2018 squad members. 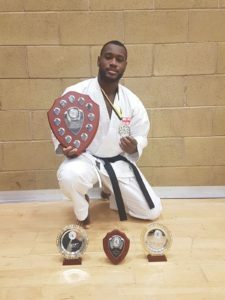 So, Leon started training with Sensei Eric Pich at the age of 10 alongside other notably successful competitors such as Mohammed Salih and Roisin Campbell, at the Vale Farm dojo in Wembley. Leon eventually gave up judo (he began playing semi-pro football!) but he had by then won a place on the England Squad and was ranked 2nd in the UK. Leon now wants to pass on his knowledge to the next generation and as Squad Coach for SKCE, is committed to helping to develop future champions.